Ann Arbor provides an excellent home for launching one’s nursing career. Nursing salaries are significantly higher than state averages, and major healthcare employers are frequently in the market for new hires. We’ve profiled below several important local nursing roles. Ann Arbor boasts more than 3,500 CNAs and 600 LPNs. These nurses typically enter the nursing profession through a short certificate course at a local community college. The return on this educational investment can be very attractive: the median salary of an Ann Arbor CNA is over $28,000, while local LPNs earn over $46,000 per year on average. Two distinct qualification pathways lead to employment as an RN: a two-year associate’s degree in nursing (ADN) and a four-year bachelor of science in nursing (BSN). Both pathways conclude with the NCLEX-RN national licensure examination. Ann Arbor’s 8,000+ RNs are well paid, earning an average of $68,000 annually. BSN-educated nurses typically land in the city’s top pay quartile, receiving $79,000 or more in annual pay. An APRN is required to hold a graduate degree. 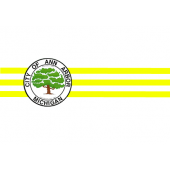 Consequently, only a small number work in Ann Arbor, although they enjoy very high salaries. The city’s 330 nurse practitioners earn a median annual salary of $86,590. The average nurse anesthetist in the area earns even more, almost $170,000 per annum. A variety of local nursing jobs are available with employers in both the public and private sectors. The US Department of Veterans Affairs has local offices for administering medical care to military veterans. Tenet Healthcare provides healthcare services through its network of private clinics. To help Ann Arbor’s aspiring nurses launch their education, we have compiled below a list of approved nursing schools and programs in the area.